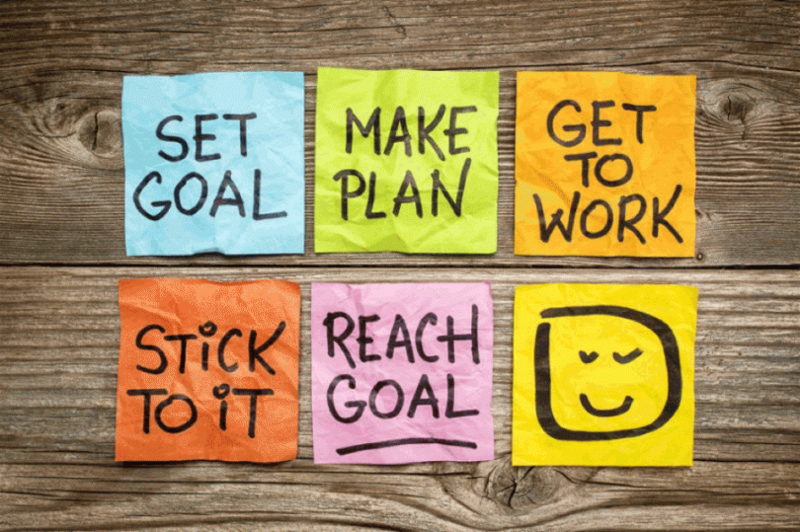 Your goals could include things like tackling your less than healthy eating habits by cooking more meals at home, establishing a fitness routine you can stick to and getting the physical care you need to deal with past injuries or illnesses. Maybe you didn’t track your wellness goals in 2018, so take a few minutes and think about you want to accomplish in 2019. Whatever your wellness goals are, it’s important to track them! Tracking your wellness goals helps you to decide on next steps, to keep yourself moving forward. If you write it down, it becomes real and you’re less likely to avoid it. Example? If your goal is to eat better quality food, made at home, from scratch, break that down into smaller steps and track them! Start with meal planning and go from there! Tracking your goals also gives you feedback so you can make a course correction, if you need to. Tracking also helps you to see your successes! If you have broken down your steps to wellness, you have something to celebrate when you achieve one. That’s always good for motivation! What’s working in your health and wellness activities? What makes you feel better, stronger and more connected to your life? What isn’t working for you and why? Look hard at where you are going off the rails and be honest. If you’re binge eating to deal with some stress, it’s time to look at other ways to manage what’s going on in your life. Do you feel connected to your ‘why?’ This is so important! If you don’t feel connected to your purpose and why you are focusing on your health and well-being, you need to figure out why and what you can do to move forward. Are you being kind enough to yourself, body and mind? Are you taking the time you need to accomplish your goals? Are you giving yourself a break when you deviate or are you beating yourself up? Is it time to press the reset button? Sometimes, we go way off course with our goals. Not taking care of ourselves, not sleeping enough, not drinking enough water or exercising enough. It’s all a slippery slope and you may not even realize that you’ve gone down this path until you’re already halfway down it! If you do notice you’re way off, stop. It’s time to hit the reset button. Don’t waste a lot of time beating yourself up about it; instead, assess how you got where you are and make the decision to move forward!